Deputy Assistant FBI Director Peter Strzok. Appearing before a joint session of the House Oversight and Judiciary committees, Strzok sought to explain his anti-Trump text messages at a time when he was the lead agent on the FBI’s then-nascent Russia investigation in 2016. He was removed from the investigation in 2017 after those text messages with fellow FBI employee Lisa Page, with whom he was having an affair, were discovered. 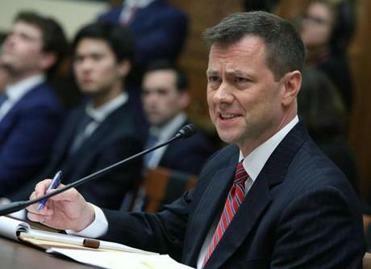 Republicans including President Donald Trump have seized upon Strzok’s texts - which included allusions to stopping Trump - as evidence of a biased and even corrupt law enforcement investigation. It didn’t take long for the hearing to explode. After the opening statements, House Oversight Committee Chairman Trey Gowdy, R-S.C., lodged his first question: How many people did Strok interview during the first eight days of the FBI’s Russia investigation, between July 31 and Aug. 8, 2016? Who is Peter Strzok, the FBI agent testifying before the House? Here’s what to know about Peter Strzok and his communication with FBI lawyer Lisa Page. Strzok, as he previewed in his opening statement, said he had been advised by the FBI’s lawyers that he was not to address specifics of what is still an ongoing investigation. (The investigation was handed over to special counsel Robert Mueller in mid-2017.) Republicans quickly objected and threatened to hold Strzok in contempt. Democrats noted that it was unusual that Strzok be asked to disclose such details in a public setting. Strzok said he didn’t have to answer the question because, despite being subpoenaed by the committee, he had previously said he would speak voluntarily. House Judiciary Committee Chairman Robert Goodlatte, R-Va., finally said that Strzok would be recalled to the committee after the day’s hearing so that it could determine whether to hold him in contempt. But the tone was set. He said that his text messages critical of Trump shortly after the investigation began were in response to Trump’s behavior on the campaign trail - and not a reflection of his investigative intent. He pointed in particular to Trump’s attacks on the Khans, a Gold Star family who spoke at the Democratic National Convention around that time. 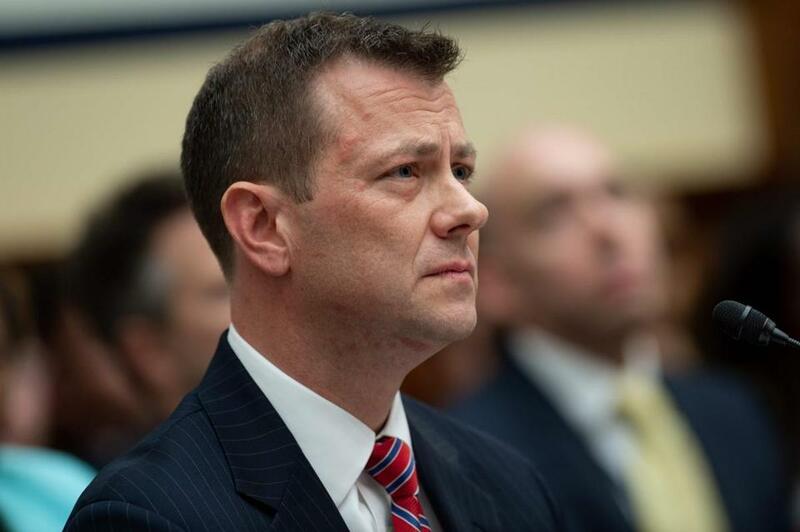 Strzok concluded the accusation against him and the line of questioning ‘‘deeply corrodes what the FBI is in American society, the effectiveness of their mission, and it is deeply destructive.’’ Some in the room applauded. One of the subplots here has been Democrats’ push to release the transcript of Strzok’s previous, closed-door testimony. They argue that it has been selectively leaked and described to impugn him. So at one point early in the hearing, Rep. David Cicilline, D-R.I., said he intended to release the transcript himself - and asked whether there was any reason he couldn’t. Goodlatte stressed that it was the committee’s practice and that there was an agreement to keep closed-door hearings private while an investigation is ongoing. It’s worth noting that Goodlatte’s justification - that the committee’s investigation is ongoing - was the same one Strzok offered for not answering questions about the special counsel’s Russia probe. In the latter case, apparently, Republicans don’t think it applies. ‘‘Mr. Strzok, if I could give you a Purple Heart, I would,’’ Cohen said when he began his questioning. ‘‘Let me underscore: These are not allegations, these are admissions,’’ Cummings said. Someone on the committee objected at one point, but the visual aids were allowed to stay. Later on, Rep. Sheila Jackson Lee, D-Texas, displayed a similar visual, holding up former Trump campaign chairman Paul Manafort’s just-released mug shot. Manafort hasn’t pleaded guilty like the others, but he is awaiting trial and has been jailed for witness-tampering.